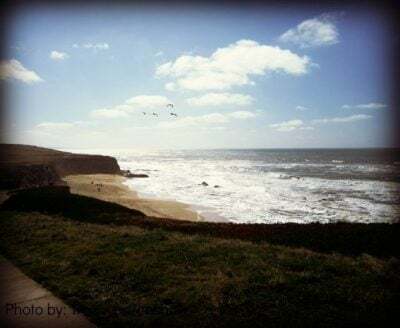 Half Moon Bay is a tiny Northern Californian city on the Pacific Coast just 28 miles from San Francisco and 45 miles from Santa Cruz. 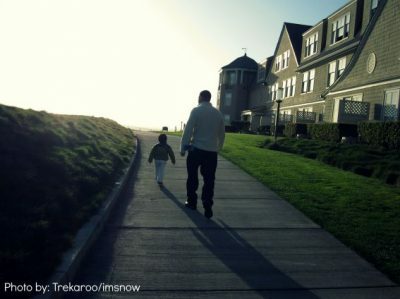 Though the city’s total area is only 6.4 square miles, its namesake—Half Moon Bay—boasts some of the state’s most gorgeous coastal views, and with a comfortable climate throughout the year, there’s never a bad time to visit. An abundance of state parks, marine reserves, and beautiful beaches elevate Half Moon Bay from blip on the map to premier family vacation destination. 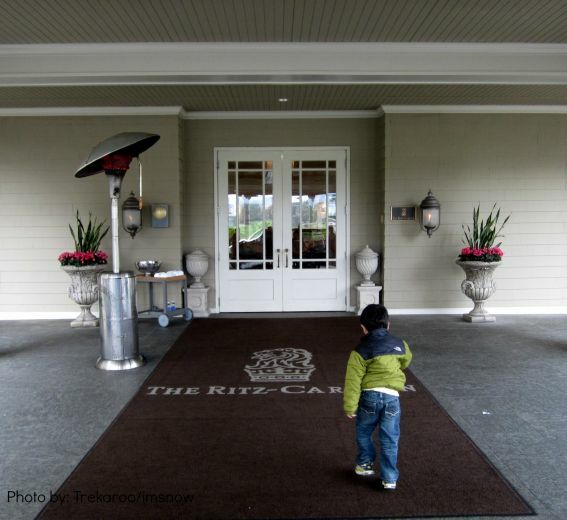 A stay at The Ritz-Carlton, Half Moon Bay is the ultimate coastal extravagance. 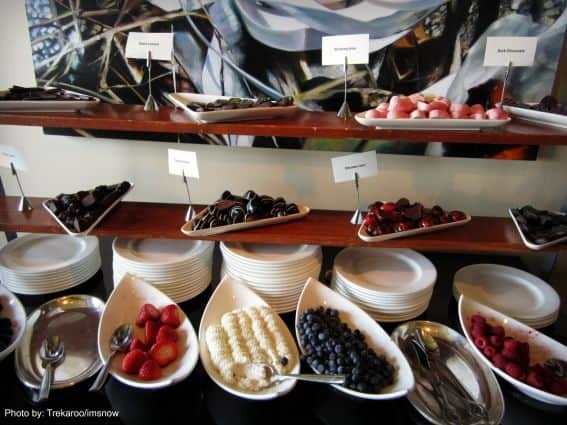 Visiting families will enjoy luxurious amenities like roasting s’mores by oceanfront fire pits near a weekend hot chocolate bar with gourmet toppings, including vanilla or cinnamon whipped cream, homemade marshmallows, toasted coconut flakes, and peppermint shavings. Yum! My favorite indulgence—on Thursday through Sunday evenings—a dedicated Fire & Wine Butler roves the property in search of empty wine glasses to fill, offering assistance with lighting outdoor fire pits. No need to pinch yourself, you’re not dreaming. 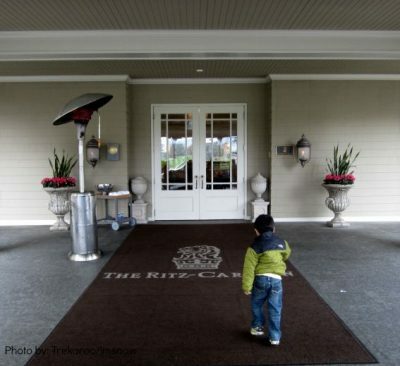 Welcome to Ritz-Carlton! 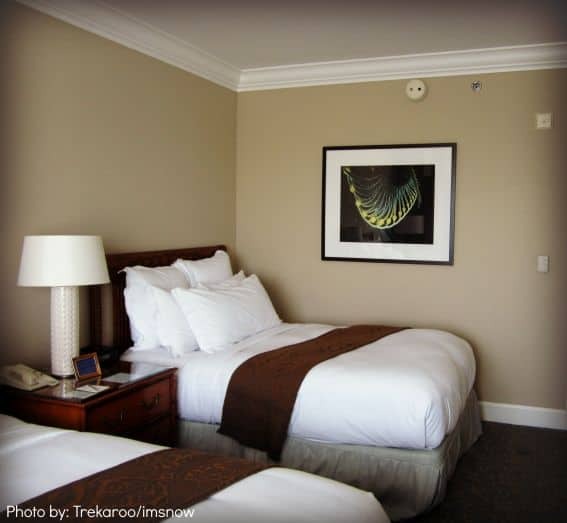 I also stayed at Half Moon Bay Inn, which is centrally located on Main Street in the historic downtown district. For all the convenience of home, request the Bella Vista Villa. This beautifully furnished second-floor apartment comes with its own private entrance and grand staircase and features a fully appointed kitchen, a dining room with large windows, two beautiful bedrooms, and a private balcony overlooking a Tuscan inspired courtyard with outdoor fireplace and fountain. 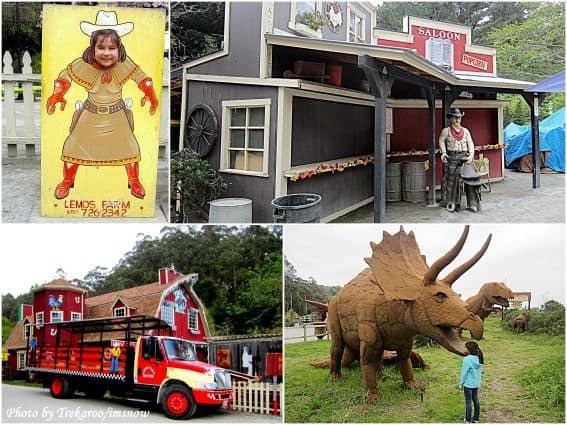 Lemos Farms is packed with fantastic kid-friendly activities. From train rides and pony rides to petting zoos and playgrounds, the magic of childhood is alive and kicking at Lemos Farms! When the bounce house is rockin’, don’t come a knockin’! Across the street, along Highway 92, Spanish Town captures the imagination with its huge display of metal dinosaurs. Admission and parking are free! Don’t forget your camera, the photo ops are endless! Harley Farms is a restored 1910 dairy farm with 200 alpine goats on nine acres of pasture in Pescadero, California. Year-round farm tours and cheese making classes allow visitors to experience a working goat farm. Harley Farms lush green meadows, colorful spring flowers, and open sky vistas are unforgettable. My toddler loved running around in the outdoor garden at the base of the Farm Shop. He also enjoyed the shop’s fabulous bread and cheese samples! 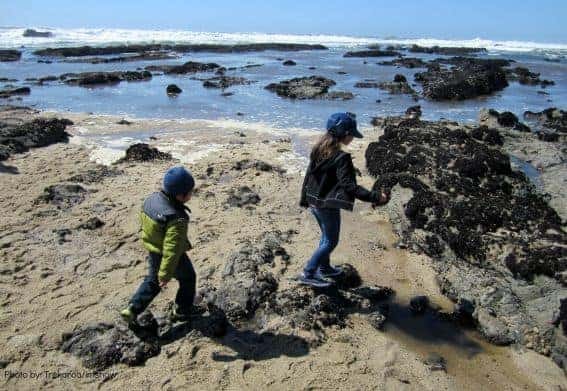 At Fitzgerald Marine Reserve there are (1) plenty of rocks to throw into a large body of water, and (2) the rocky-shored, marine-protected area unveils the miracle of life at low tide. It’s not uncommon to see sea urchins, sea stars, or harbor seals. The latter may be more educational, but if you have young sons, you know a day spent chucking rocks in the water is a sure way to win a boy’s heart. Did you know that during Prohibition, bootleggers exploited the area’s dense fog and hidden coves to serve a number of local inns and roadhouses? Some operate as restaurants today, like Cameron’s Pub. Try saying “Cameron’s Restaurant, Pub, Inn, RV Park & Campground” three times really fast. The name is quite a mouthful! 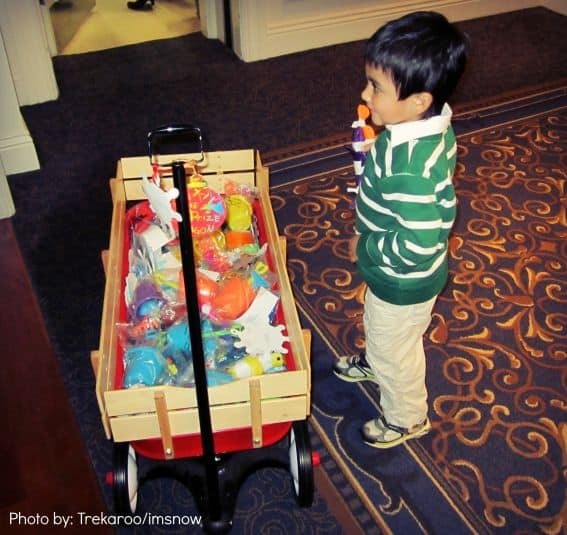 A visit to Cameron’s Pub is also an eyeful, a tasteful, and a day-of-family-fun-ful! A trip to Half Moon Bay without a visit to Cameron’s Pub would be like a happy meal without the toy, ordinary! I’ll tell you this, if pizazz was tangible, this pub’s owner could issue shares of its stock! From floor to ceiling, the pub and its outdoor surroundings are covered with fun things to look at. Sam’s Chowder House is one of Half Moon Bay’s most picturesque seafood restaurants, a lively spot boasting panoramic ocean views. Swing by for the famous Lobster Roll or enjoy a few bowls of Sam’s delicious clam chowder on the patio from an Adirondack chair on the deck. The coastal sunset is gorgeous! Brunch at Ritz-Carlton’s Navio is legendary in Northern California and I’d been hearing about it for years before I visited. When I was finally able to experience it for myself, I found myself wishing two things: that I had been born to great wealth, and that I had skipped dinner the night before. Sadly, my stomach ran out of room before I could try everything. Half Moon Bay Brewing Company, a good spot to enjoy an ice-cold beer and take in views of the Pacific Ocean. Princeton Seafood Company, a statue of a stoic bearded fisherman in a bright yellow rain slicker holds a giant fish outside. My kids couldn’t resist posing for photographs by the old man of the sea. My toddler even tried to have a conversation with him. It’s Italia features an open-air courtyard patio that radiates old world charm; a peaceful place for families to gather and revel in each others company. 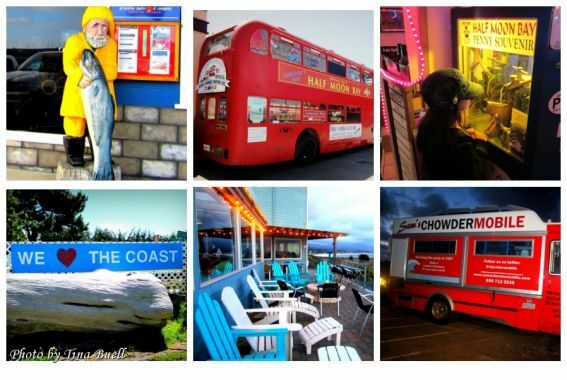 Disclosure: Thanks to Chamberlin Public Relations for hosting my Half Moon Bay adventure. All opinions are my own.